Microbial endocrinology is defined as the study of the ability of microorganisms to both produce and recognize neurochemicals that originate either within the microorganisms themselves or within the host they inhabit. 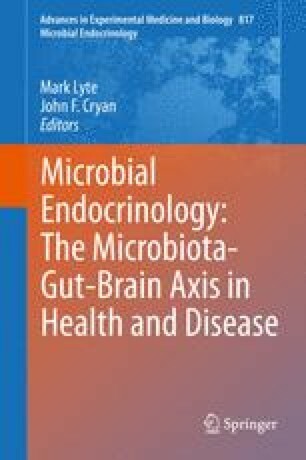 As such, microbial endocrinology represents the intersection of the fields of microbiology and neurobiology. The acquisition of neurochemical-based cell-to-cell signaling mechanisms in eukaryotic organisms is believed to have been acquired due to late horizontal gene transfer from prokaryotic microorganisms. When considered in the context of the microbiota’s ability to influence host behavior, microbial endocrinology with its theoretical basis rooted in shared neuroendocrine signaling mechanisms provides for testable experiments with which to understand the role of the microbiota in host behavior and as importantly the ability of the host to influence the microbiota through neuroendocrine-based mechanisms.